The awesome geometry of the GT Alloy triple triangle track frame means that you also get reinforced track ends, integrated chain tensioners, and a butted downtube. 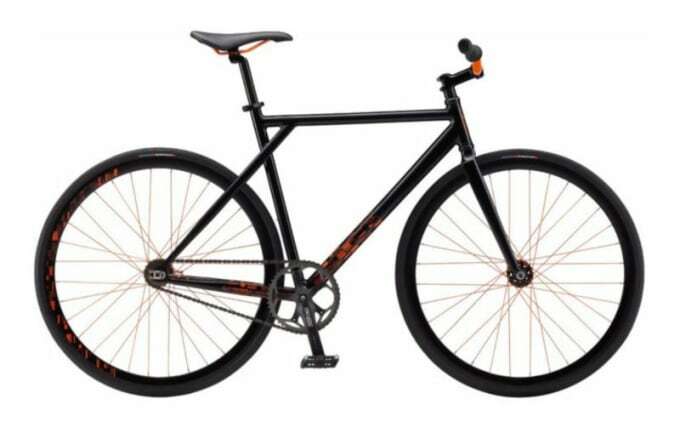 The fork is a straight track design, and the murdered-out color scheme has nice pops of metallic orange on the frame, seat, handlebars, and rear rim. Fire!